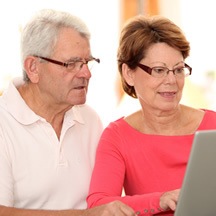 Enhanced annuity provider Just increases rates by up to 4.5% leading the market at a time when gilt yields have reduced due uncertain geopolitical tensions between North Korea and the United States. 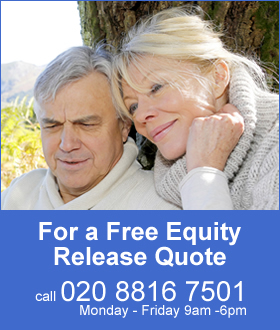 Annuity provider Just (formally Just Retirement) has increased their rates for both lifestyle and impaired annuities even though gilt yields have reduced this month following uncertainty over the tensions between the US and North Korea. Smoker and enhanced rates including high blood pressure, Cholesterol and diabetes are higher by up to 4.5% with a weighting for those aged 55 to 65 with little change for those aged 75. Lifestyle conditions including height & weight, consumption of alcohol and postcode have also increased from Just by up to 3.3% with a weighting for those aged 65 to 70. On average rates for smoker and enhanced are higher by 1.59% and lifestyle rates which include standard rates are higher by 1.73%. 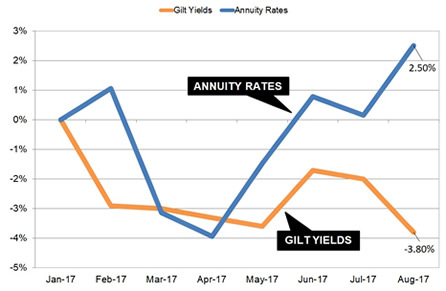 During August the 15-year gilt yields reduced by 18 basis and as a general rule a decrease of this amount would result in a fall in annuity rates of 1.8% from the providers. The decrease follows geopolitical tension over the US and North Korea with investors seeking safe havens such as gilts and bonds. The above table shows smoker and enhanced rates for our benchmark example of a 60 year old buying a single life, level annuity with a fund of £100,000. The income for August has increased by £117 pa from £5,008 pa to £5,125 pa and this is the highest rate achieved in 2017. In terms of lifetime income, the Office of National Statistics (ONS) would expect a male to live for 17.3 years and he will have £2,024 less over his lifetime. For a female she can expected to live for 20.4 years decreasing her lifetime income by £2,386. For our benchmark example rates reached a low of £4,803 pa in April 2017 due to geopolitical uncertainty after worries over the elections in France, the US conflict with Syria and tensions with North Korea send investors to safe havens of gilts and bonds. The higher annuities last month has created a separation in the trend between the 15-year gilt yields and annuity rates of 6.30% and we would expect a correction in rates in September 2017 if yields do not improve.